Though poverty remains a trenchant social problem, CPSP’s work shows that policies and programs can make a difference. CPSP’s research on anti-poverty policies and programs seeks to analyze and document what works and what doesn’t when it comes to innovative solutions to the problem of poverty. The CPSP estimated the poverty effects of President Trump’s March 2017 proposal to eliminate the Low Income Home Energy Assistance Program, also known as LIHEAP, that helps low-income households pay their utility bills and keep the heat on in the winter. We found that eliminating LIHEAP would move more than 200,000 people into poverty, hurting the rural poor the most. Read our brief to learn more. 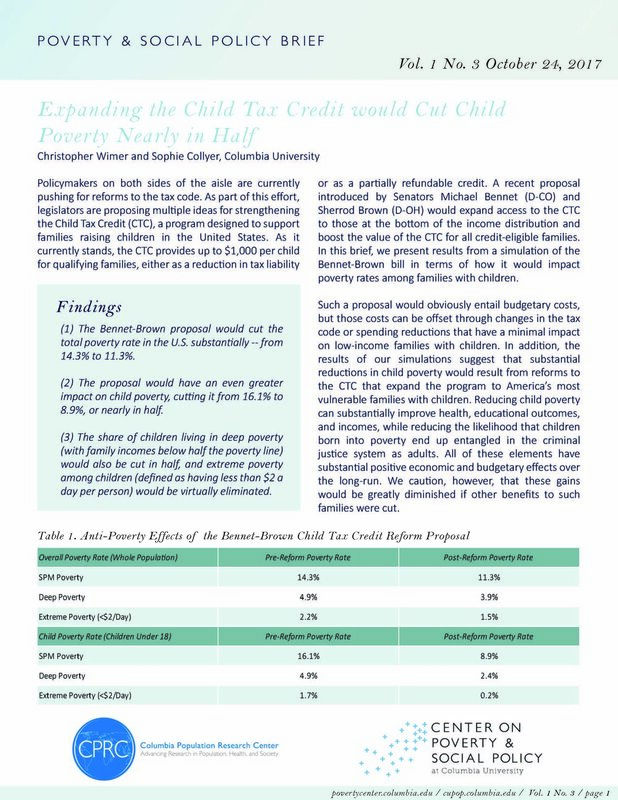 A recent proposal introduced by Senators Michael Bennet (D-CO) and Sherrod Brown (D-OH) would expand access to the Child Tax Credit (CTC) to those at the bottom of the income distribution and boost the value of the CTC for all credit-eligible families. In this brief, we present results from a simulation of the Bennet-Brown bill. With funding from the Century Foundation, we have used the Supplemental Poverty Measure to model the potential effects of a universal child allowance on both poverty and deep poverty among children. To read the full report, click here. Though the Earned Income Tax Credit (EITC) and the Child Tax Credit (CTC) are some of the nation’s most effective antipoverty policies, they track earnings and therefore mirror the instability of recipients’ earnings over the year. A one-year “lookback” is a mechanism that would help reduce this instability. A lookback provision would allow EITC and CTC claimants to look back one year when filing taxes to maximize their credit and smooth earnings instability. In this brief, the CPSP takes a first look at the potential effects of a lookback provision on poverty. Read the brief here. Another major issue preventing low-income individuals and families from thriving is the high cost of housing. CPSP researchers and affiliates are therefore exploring the potential impacts of a refundable renter’s credit on both poverty and housing burden. This research is being conducted in preparation for a special volume of the Russell Sage Foundation Journal of the Social Sciences. 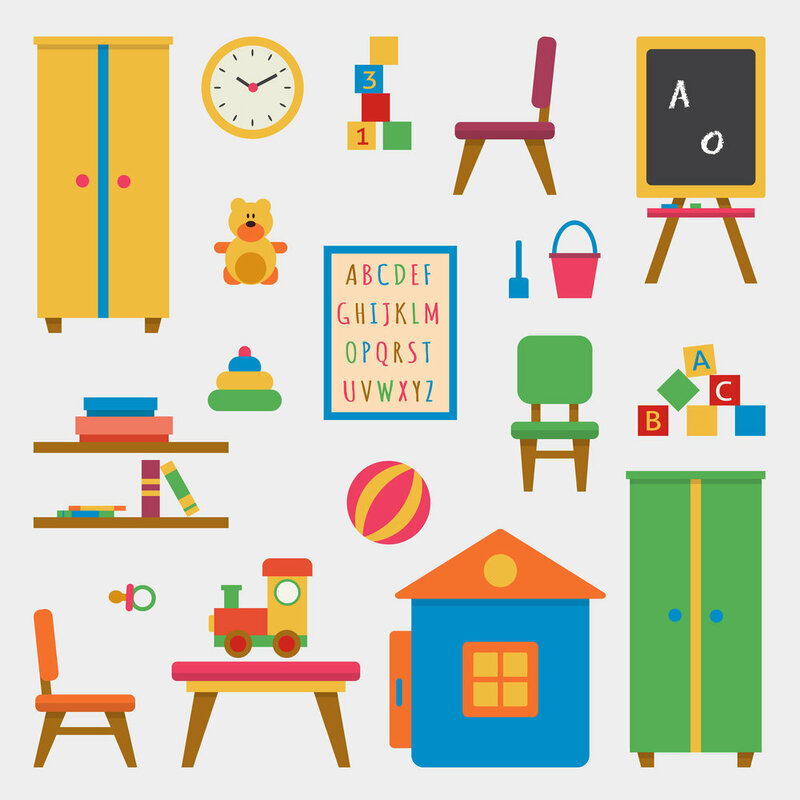 The Room to Grow program provides new mothers in New York City and Boston with a mix of (1) parenting supports from licensed social workers; (2) connections to community resources; and (3) over $3,000 in material support per year. With funding from the Robert Wood Johnson Foundation we are launching an ambitious randomized controlled trial of the program’s effects on financial security and parental resilience and well-being. With funding from the United States Department of Agriculture, through the University of Kentucky Center for Poverty Research, CPSP researchers and affiliates are investigating how cost-of-living moderates the SNAP program’s effects on purchases of healthy and nutritious foods. To read the working paper, click here! With funding from the Annie E. Casey Foundation and The JPB Foundation, our researchers have created a unique data set implementing the Census’ and Bureau of Labor Statistics’ Supplemental Poverty Measure back to 1967. This data set allows for more accurate measurement of poverty over time, and more critically the accurate assessment of the role of government policies and programs in reducing poverty. Click here to download the historical SPM data and here to access state-level poverty estimates dating back to 1976.